If you’re reading this, you need an estate plan. Why? The short answer is “Everyone, age 18 and older needs an estate plan.” It doesn’t matter if you are old or young, if you have built up considerable wealth or if you are just entering adulthood – you need a written plan to keep you in control and to protect yourself and those you love. We all need the counseling and assistance of an experienced estate planning attorney to help us make good decisions. Your estate is comprised of the assets you own – your car, home, bank accounts, investments, life insurance, furniture, and personal belongings. No matter how large or how small your estate, you can’t take it with you when you die, and you probably want certain people to have certain things you own. To make sure that happens, you need to provide written instructions stating who you want to receive your assets and belongings, what you want them to receive, and when they are to receive it – that is the essence of an estate plan. If you have young children, you will need to name someone to raise them in your place and to manage their inheritance. It might surprise you, but having a plan in place often means more to families with modest means because 1) they can least afford to pay unnecessary court costs and legal fees and 2) state laws, which take over in the absence of planning, often distribute assets in an undesirable way. Don’t try to do estate planning yourself. You need the counseling and assistance of an experienced estate planning attorney who knows the laws in your state and has the expertise to guide you in making difficult decisions such as who will raise your children and who will look after your care during incapacity. That attorney will also know how to carefully craft the appropriate estate planning documents, so that what you think will happen when you become incapacitated or die actually happens. 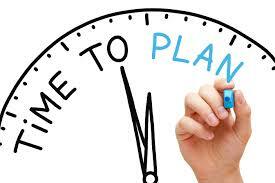 Call or email our office now to set up an estate planning consultation appointment. We make tough topics manageable to discuss and talk about. Don’t worry about how life will unfold; the best practice is to have your plan prepared now based on your current situation.